Join Guest D.J. 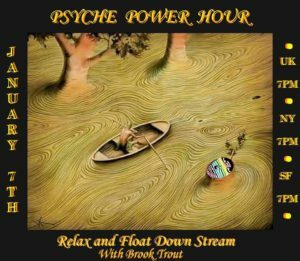 Brook Trout this Saturday on Psychedelicized Power Hour as he does what a brook trout does best! As usual Power Hour will be broadcast three times on 7 January at 7pm UK, NY, SF. « Santa Delic is Coming to Town!